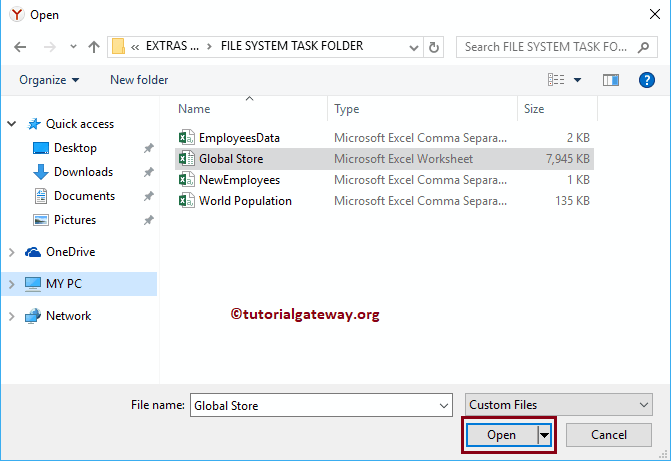 In this article, we will show you, How to upload Excel Files to Power BI Dashboard with practical example. 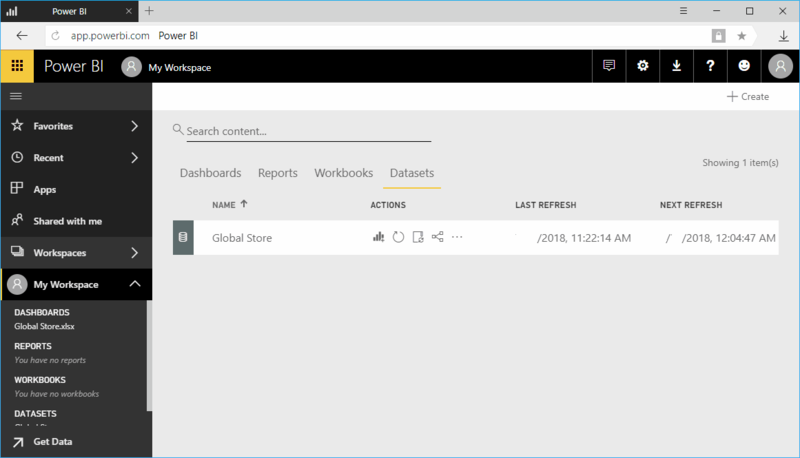 To demonstrate the same, we will load data from Global store excel workbook to Power BI dashboard. 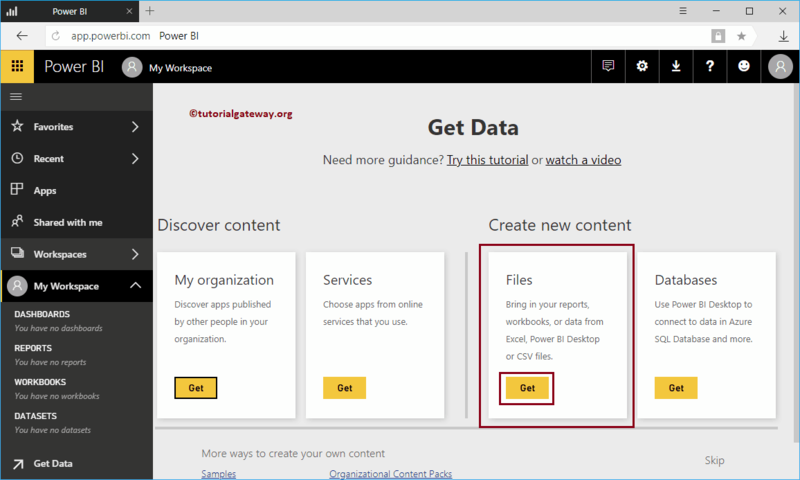 By default, when you open your Power BI service URL, it will display the following page. If this is not the case, then click on the Get Data button on bottom left corner. 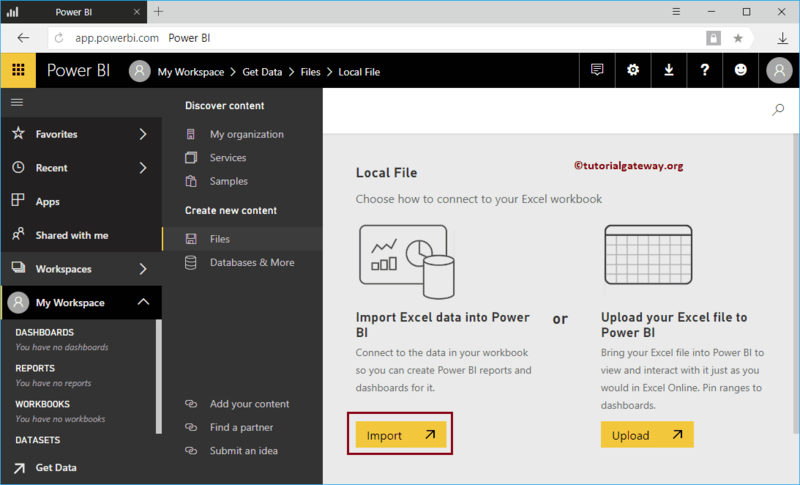 Import Excel data into Power BI: This will allow you to design reports using this imported excel file. 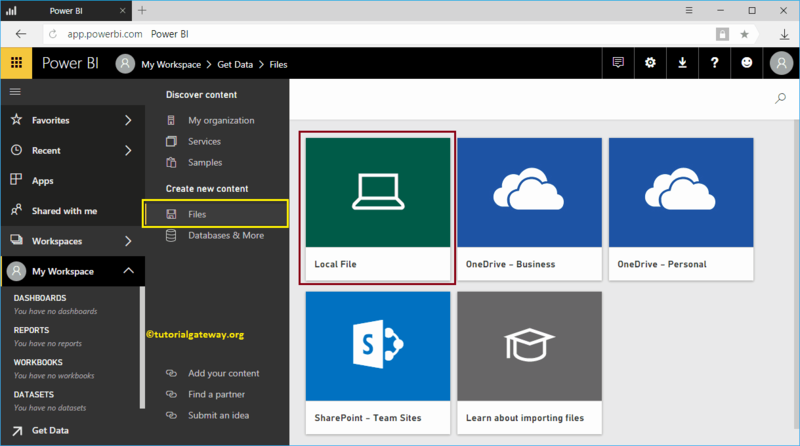 Upload your Excel files to Power BI: This is same as Excel Online. You can view, interact with the data like you normally do in Excel. No reporting. I suggest you to refer Upload Power BI Workbooks article to under this option. Let me navigate to My Workspace -> Datasets tab to see the available datasets. 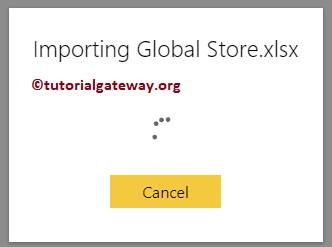 As you can see, it is displaying the Global Store Dataset that we created earlier.